By voicing concern without recognising positive measures, what does the UN hope to achieve? While the Commissioner for Human Rights is entitled to have his own views, it is necessary that such an important functionary should exercise a high level of caution and give due consideration to the views of the Sri Lankan government, as well as people from various walks of life while presenting his views. The Human Rights Commissioner said that he has found a heavy military presence in the Northern and Eastern provinces, but there is no need for him to be critical of their military presence when there is no information or complaints that the military has indulged in any atrocities at present. One has to keep in mind that Sri Lanka has gone through very difficult internal strife for several years and it had to fight for its territorial integrity. 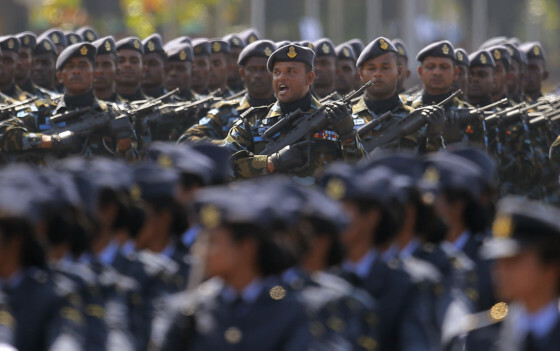 The presence of military in the Northern and Eastern provinces of Sri Lanka is necessary, and it has to be there as a precautionary measure, particularly since the separatists who are said to be operating from abroad are still demanding a separate state. The government has been cooperating with the UN Human Rights Council and there is no reason for any doubt or misgivings about its positive approach. It has repeatedly said that it is anxious to restore peace and amity and that they are striving to do so under the circumstances. Elections have been conducted in the provinces recently in a very peaceful and civilised manner and a popular government is in place at present, which is a positive and healthy sign. The Human Rights Council has been quite unfair in stating that the Sri Lankan government has not moved fast enough with tangible measures to build confidence amongst the victims and minority communities. The very fact that a free and fair election has taken place and that natives belonging to the Northern and Eastern provinces are running the government only highlights the fact that the confidence of the people has been restored to a considerable extent. The process may be slow in the view of the Human Rights Council, but progress is being made steadily, keeping in view the local scenario. The fact is that the number of positive measures for rehabilitation and reconstruction have taken place in the provinces in recent months with considerable support from countries like India. Railway lines have been laid and a number of housing projects have been completed. There is absolutely no reason to think that the Sri Lankan government is uninterested in restoring progress. By voicing criticism and concern without recognising the positive measures, what does it hope to achieve? It would have been more appropriate if it had provided helpful suggestions and appealed to the international community to extend greater support. - The reader is a chemical engineer and founder trustee of Nandini Voice for The Deprived, a not for profit organisation, based in Chennai India.